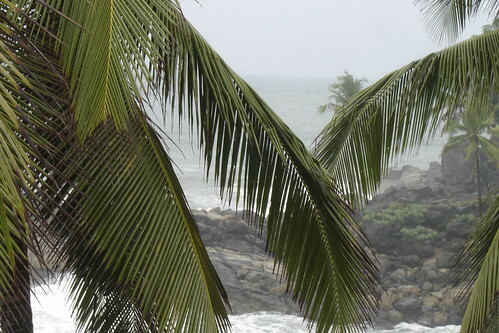 This past weekend we took a quick trip to Kovalam. 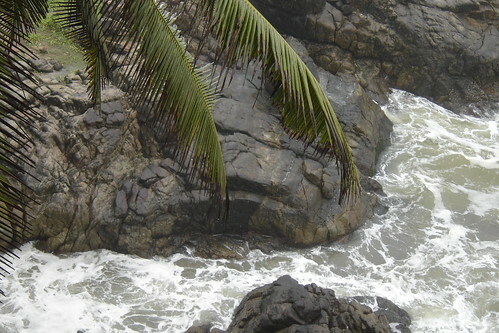 This beach town, in the state of Kerala, is at just about the southernmost point of India the Indian subcontinent. As the plane descended, the enormous numbers of coconut trees coming into view made it clear we were in a much different more tropical climate than Bangalore. 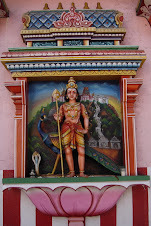 Kerala is only about 9 degrees north of the equator. 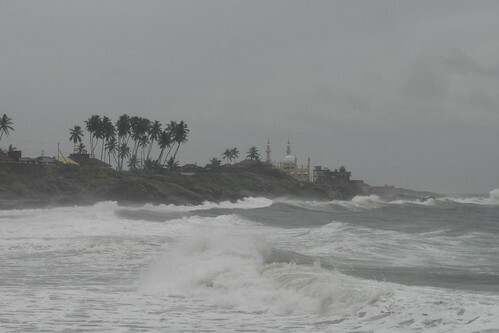 We weren't the only arrivals on Friday -- the monsoon also rolled into town that night, coming from the Arabian Sea and making land a couple days earlier than predicted. This was the actual, real monsoon, not the earlier rains that we (and others) had been calling monsoons at various times in May. It rained as we took the taxi from the airport and through most of the evening, it rained again around 5:30 in the morning, and then it rained on and off on Saturday, as we walked along the boardwalk in the main, touristy part of the beach. We were really soaked by the end, but we were glad for the rain and the way it cut through a bit of humidity. I don't think I've even been in a place where there was so much moisture in the air. The pages of books stuck together, and newspapers were extra floppy and even sounded different when they were plopped down on the table. My glasses fogged up several times while I was just walking down the street, minding my own business. When Sunday arrived, it was sunny and nice in the morning. We spent it out on the beach in front of our hotel, the Rockholm. 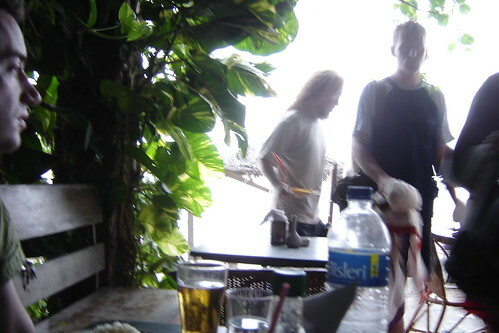 We got a couple hours in, splashing around in the very strong surf, until it was time for lunch at a beach restaurant. And then it was time for more rain and wind. We waited some of it out at the restaurant, the cheesily named Beatles. For more on monsoons, and this time from someone who isn't constantly making it up as he goes along, check out India Travel Blog's Monsoon FAQ -- for background, Wikipedia is also good. 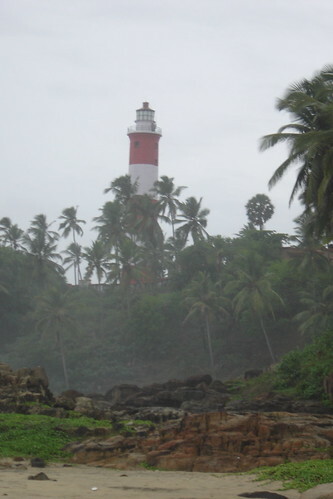 The southern tip of India is not the southernmost point of India. Pygmalion point(now Indira point) in the Andaman and Nicobar islands is. Thanks, Mahesh, I corrected the post.